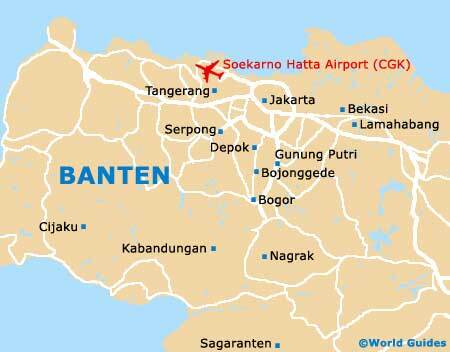 Although the province of Banten is large, the selection of museums is really very small. One of the best museums is the Archaeological Museum, which resides within the village of Banten and on the northerly coast of the province, close to Serang. If you are a history buff, then do consider taking a day trip to the nearby city of Jakarta, which as the capital of Indonesia contains many museums, covering subject matters such as history, 'wayang' puppetry, zoology, natural history, fine arts and the city's past maritime prominence. Located close to the 16th-century Mesjid Agung mosque in Banten village, the Archaeological Museum houses a fairly reasonable collection of clay artefacts and relics, discovered in this province of Java. Particular archaeological highlights include the lengthy chain spikes used for martial arts by the famous Debus brothers. The Debus tradition has long been an important practice within the region and is believed to have first originated from India, with crazy stunts being performed, using sharp knives and weapons, without drawing any blood. Information about museums in Jakarta and art galleries in Jakarta.